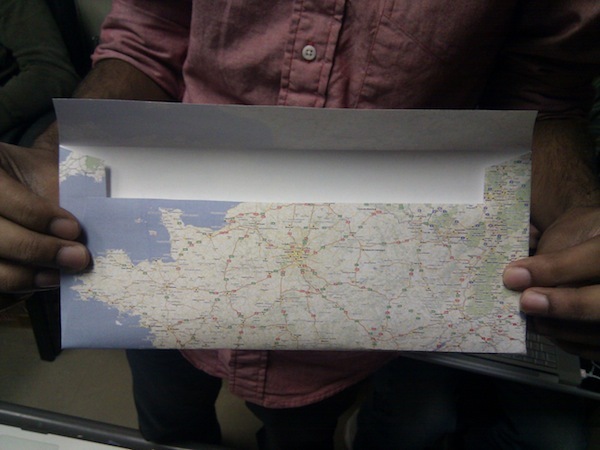 In March of 2010, Rahul Mahtani & Yofred Molk had the idea of Google Maps Envelopes. 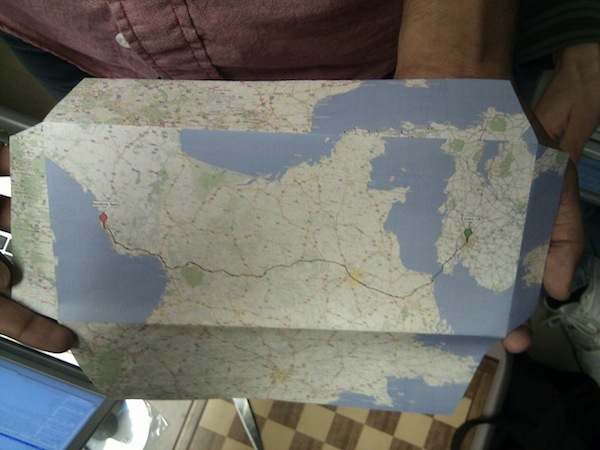 Though they did not implement it, they showed off a prototype and got people interested. I was pretty interested and thought I knew enough about Google Maps to implement this as a web service, allowing anyone to print out an envelope with some customizable options. So far, this is a work in progress with a bunch of features missing. The front of a 9.5"x4.5" envelope being sent to Montreal from Toronto. The front of a 3 7/8"x8 7/8" (No. 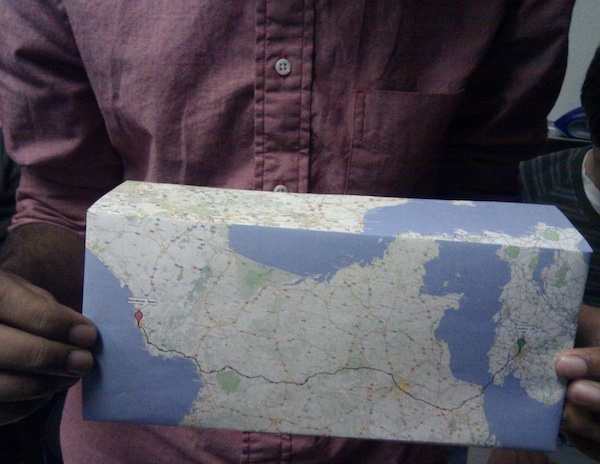 9) envelope from Barcelona to London with the path ends along the edge. A folded, printed out No. 9 envelope made by the script. User provides a to/from (or polyline), envelope size, marker text and chooses where to place the corresponding markers on the envelope. Request is pushed to backend Haskell app which downloads the correct map tiles and creates an instructions file for processing the tiles. Example instructions file for the Barcelona to London map here. In a batch fashion, C application using GraphicsMagick processes instructions file and produces the envelope image. Draw multiple paths or custom paths on the same envelope.